The boots are lightweight, warm in the winter, breathable in the summer, colored so nicely, and grippy regardless of the trail conditions. Plenty of room for your toes, plenty of support for your ankles, plenty of shock absorbancy- plenty of qualities! 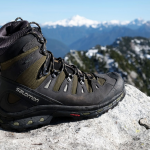 The all year-long hiking boots that require zero seconds to be broken in! I didn’t give these boots time to break in (yeah, I know, it wasn’t the smartest move), I took them right away on a hike and I didn’t regret it one bit. They gave me no blisters or sore feet- not then, not afterwards. The boots are lightweight and keep my feet warm in the wintertime and dry in the summertime- the breathability of these boots is great! As is the waterproofness of the boots. The boots run true to size and they are so well finished. The color of the boots is also very nice- I doubted it a bit, but I get complimented a lot for them! The sole is sturdy, the boots have a good grip. The traction is also very good, no matter how rocky or wet the trail gets. I have bunions and not even once the boots bothered me because of them. The boots give great stability to the ankles and the toe box is so roomy and nice. I am also able to wear my custom orthotics in these. The laces have the right length and I don’t have to work much to get the right knot. 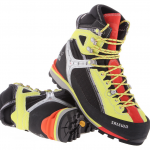 The traction on flat ground, with snow or ice, is very good in these boots. The shock absorption is wonderful and my knees and hips had no pains thanks to these boots. I’ve been wearing these for two years already, and they still look very good. I had to go up a size whith these boots. Even though the boots have a good grip on rocky trails, I had some slipping on soft snow with these boots. I think the toe cap looks flimsy and I’m hoping it’s not gonna loosen up soon. The laces might have the right length, but their fabric can be improved since they keep on getting untied quite often. I still think these boots are amazing and the price is great for the quality you get. I tell all my friends about them and I’m not sorry a bit for buying them. 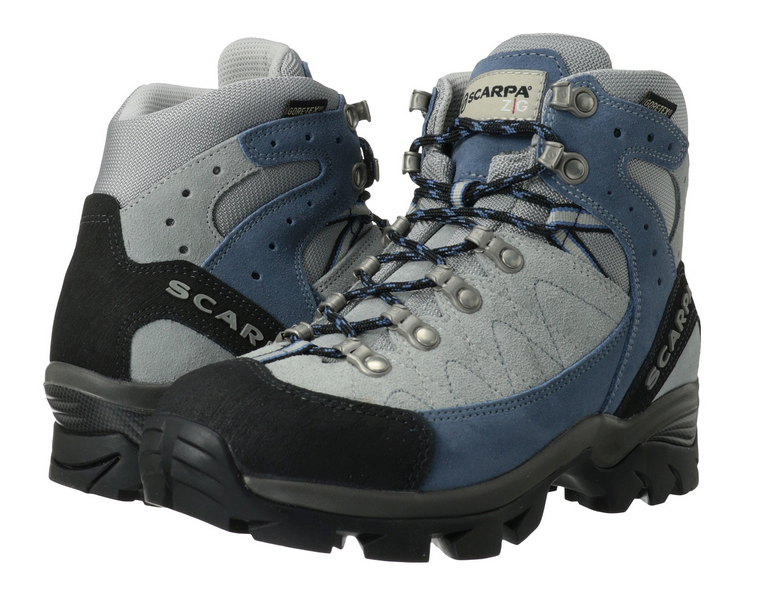 http://www.webtogs.co.uk/scarpa-boots In this video from Webtogs, Lucy takes you through the Scarpa Kailash boots to explain why she loves them so much!